So, I was strolling through Target, admiring ceramic snails and galvanized metal trays (seriously, Target’s Threshold line is my favorite ever), when I happened upon a lovely section of clearance items. 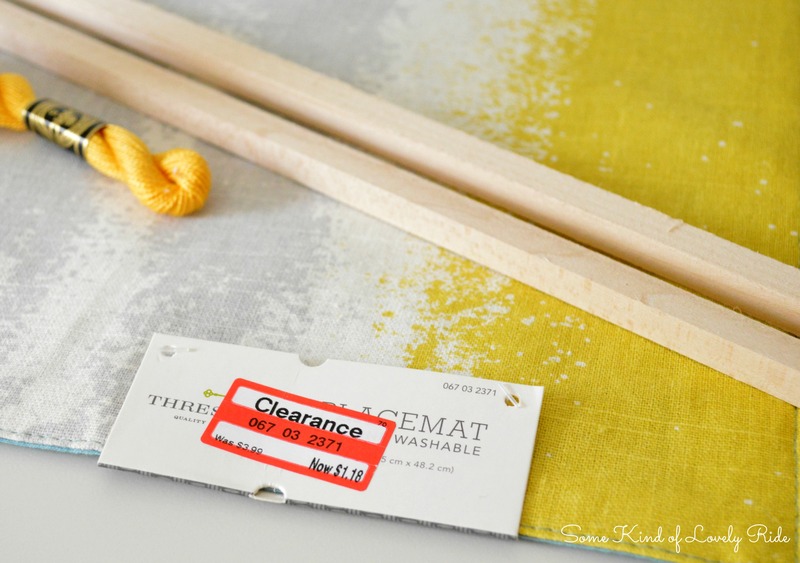 This placemat immediately caught my eye – I loved the colors, and loved the price tag even more! I grabbed the only remaining two, but with very little intention of using them as actual placemats. 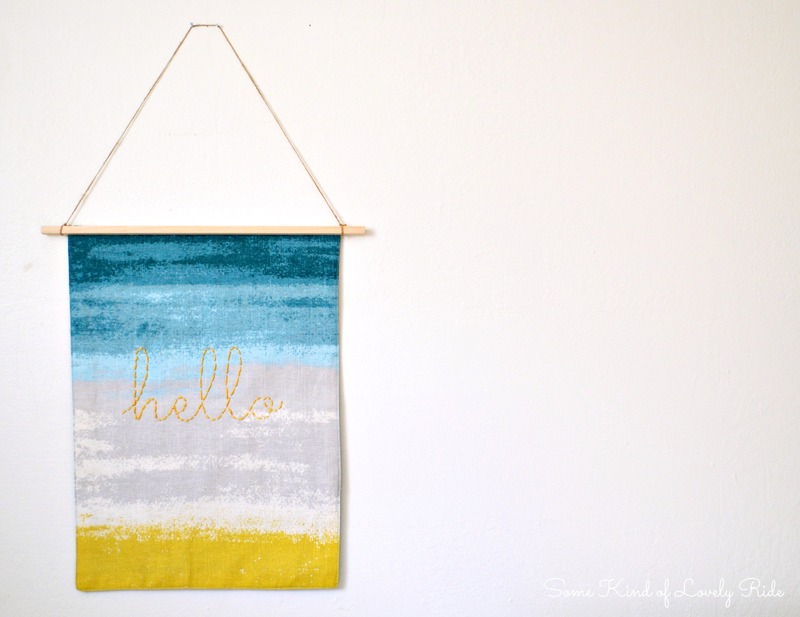 Here’s how I created this super cheerful wall hanging for around $2! 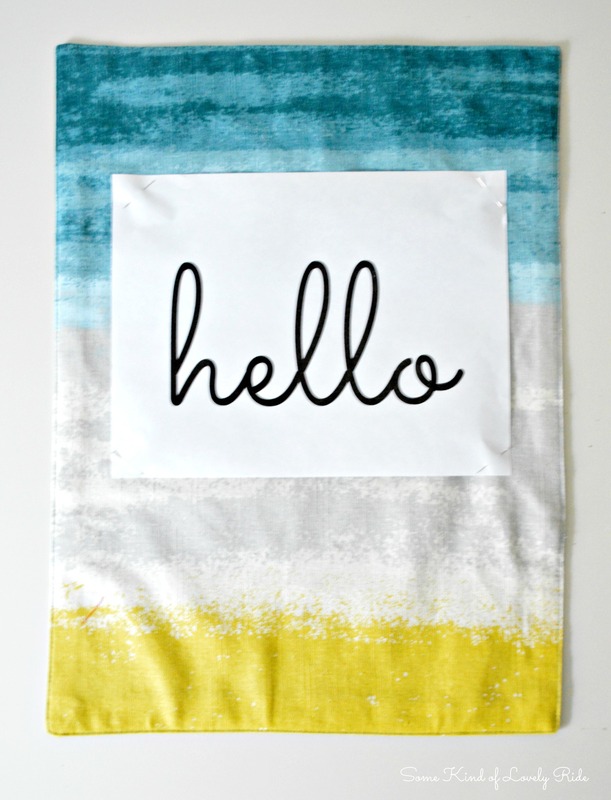 I printed out a nice large “hello” in my favorite font – Sacramento – and pinned it in place. 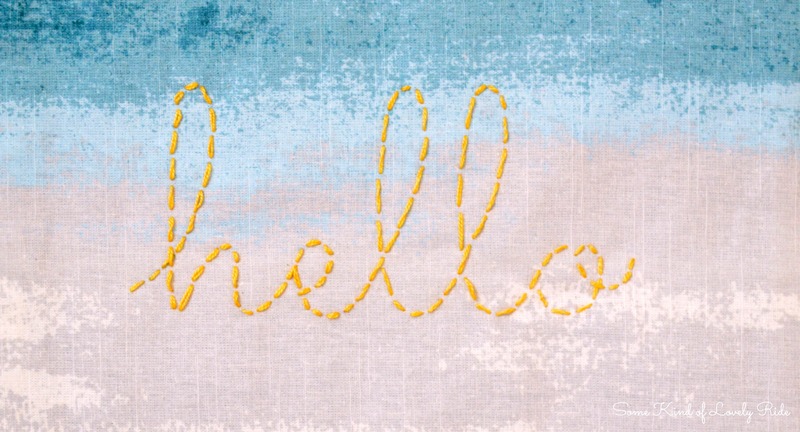 I doubled the thread to ensure my letters stood out nicely, and then began to stitch along the center of the lettering. (I added an inch or so of lead in to the h). I did not worry too much about keeping the stitches consistent – I found it worked nicely to do longer stitches for the straight parts of each letter, and smaller stitches around the curves. 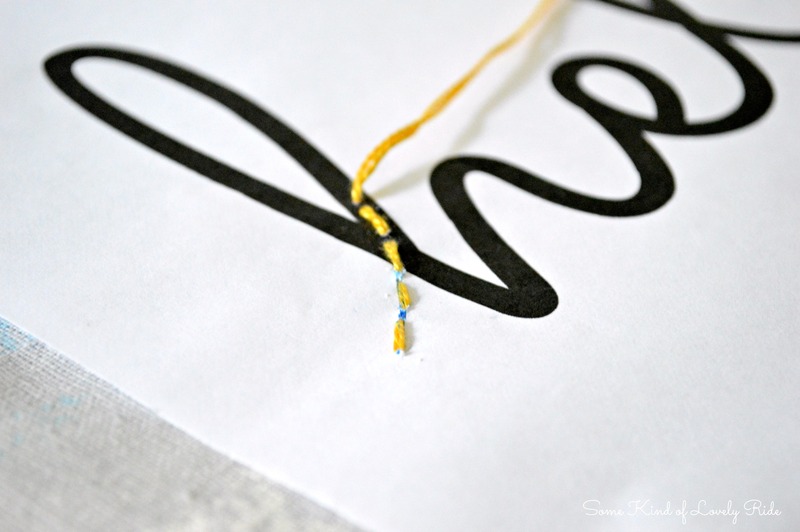 After I traced all the letters, I tied the thread off securely in the back, and then very carefully removed the paper. I cut the excess paper away, and carefully pulled/tore the paper in pieces while making sure the stitching stayed intact. 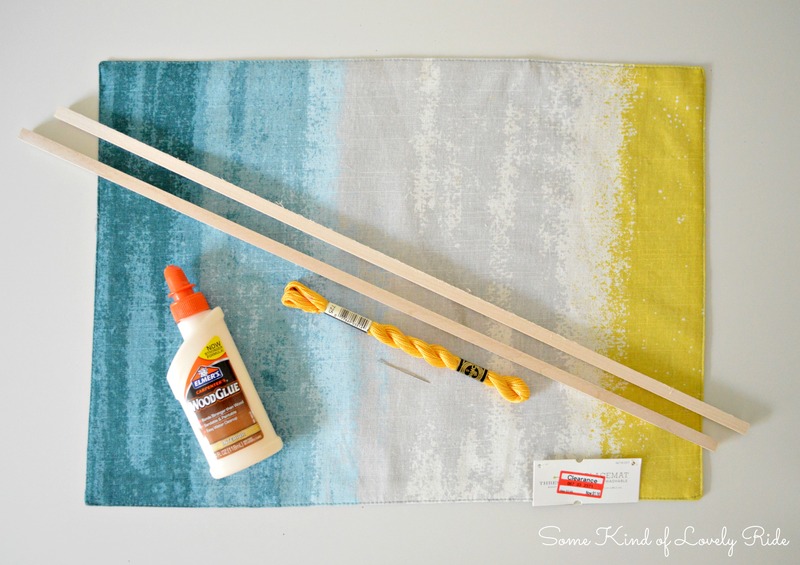 The final step was to use the wood glue to attach the dowel to the top of the placemat, and then to tie a piece of twine for hanging it. I am so, so happy with this. 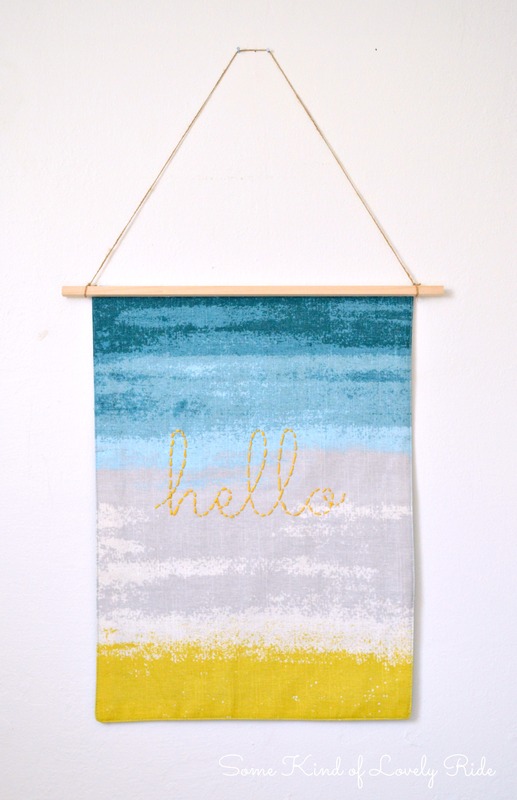 The colors are so springy and fun! Make anything awesome for two bucks lately? Or find a fun new use for something ordinary, like a placemat? After using some of the prints my latest order of matte 4 x 4 photo squares from Social Print Studio in my DIY Arrow Picture Mobile, I still have a whole bunch left – which means I get to keep working on fun & creative ways to display them! 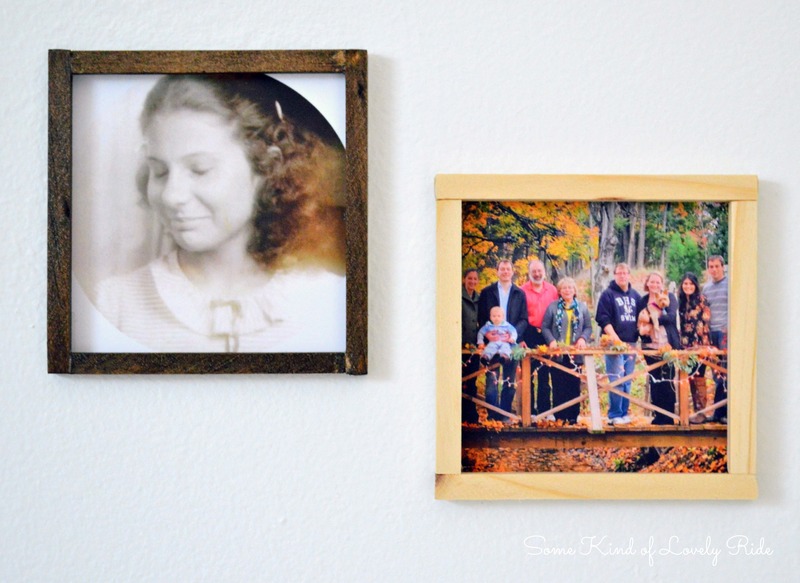 These DIY wooden frames are a cinch to make – and the are super inexpensive, which makes them even better! Photos! (Again, my prints are 4×4 squares ordered from Social Print Studio). Optional: Wood stain or paint (not pictured). 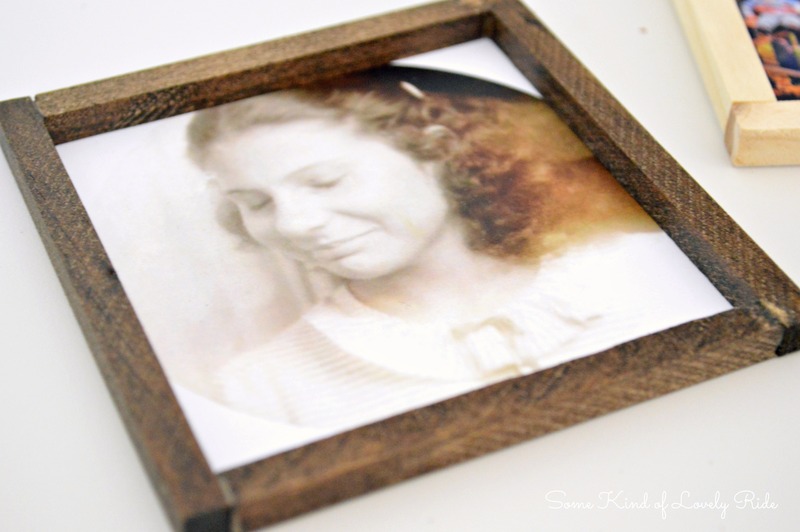 I used some Miniwax dark walnut stain that I had on hand for one of my frames. 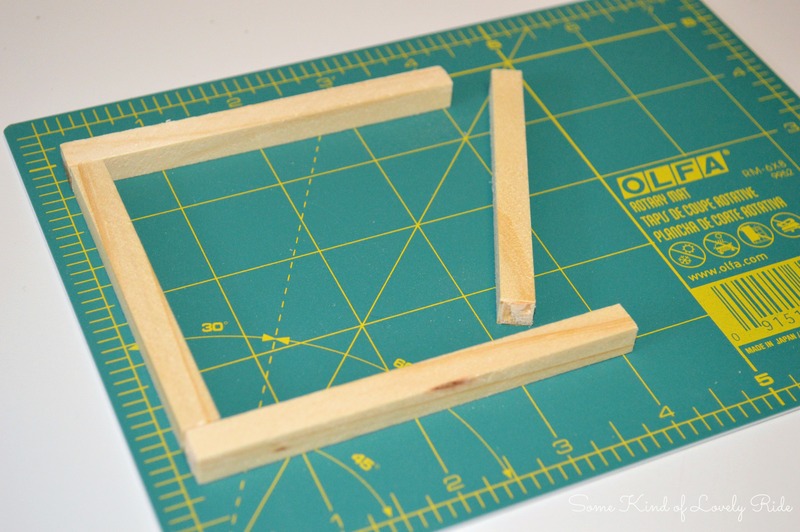 Measure your cuts so the frame will fit nicely over the edges of your photo. 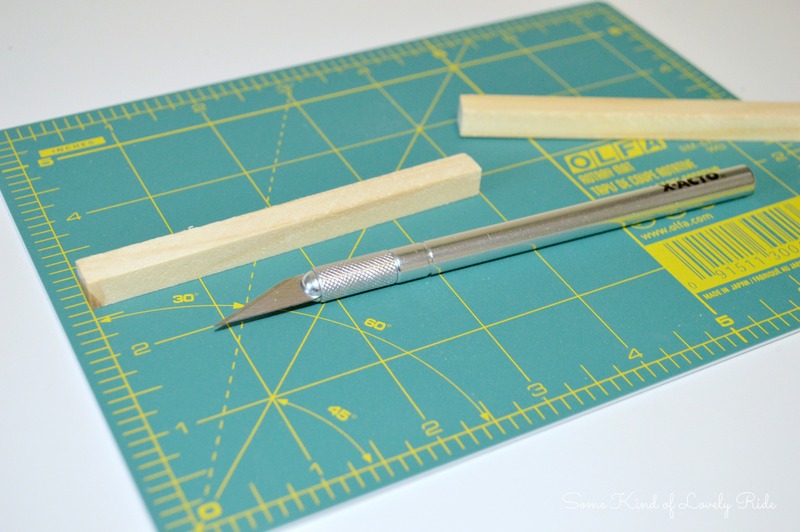 I cut two pieces to 4″, and 2 pieces to 3 1/4″. 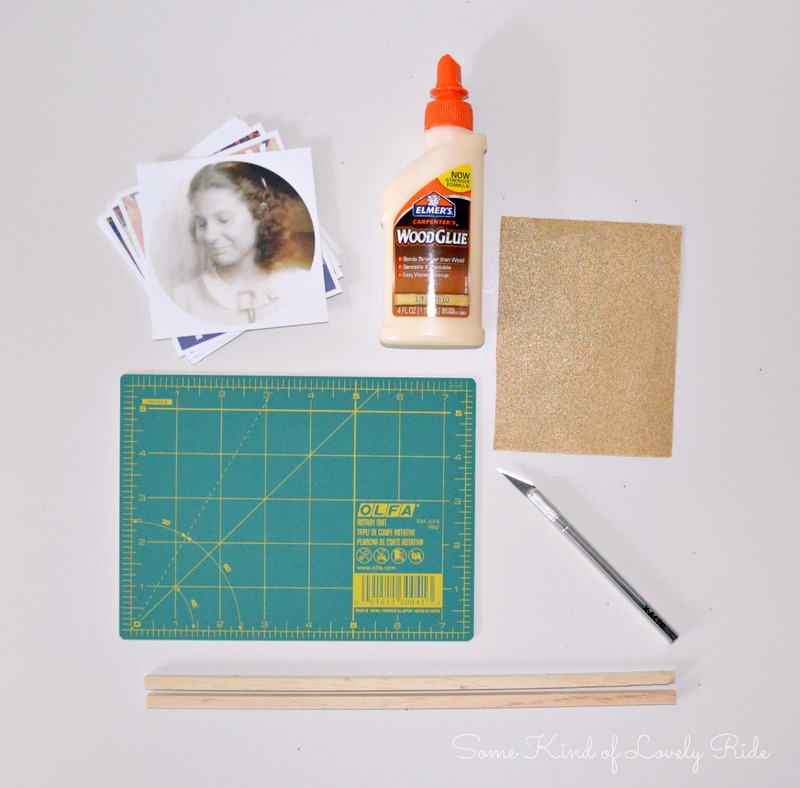 Use sandpaper to even the rough edges after you make your cuts, and then glue the frame together using wood glue. Then stain or paint if you wish – or leave the wood natural. I attached the photos to the backs of the frames with small pieces of double stick tape – and they are holding well. You could glue them, too, for a more permanent hold. 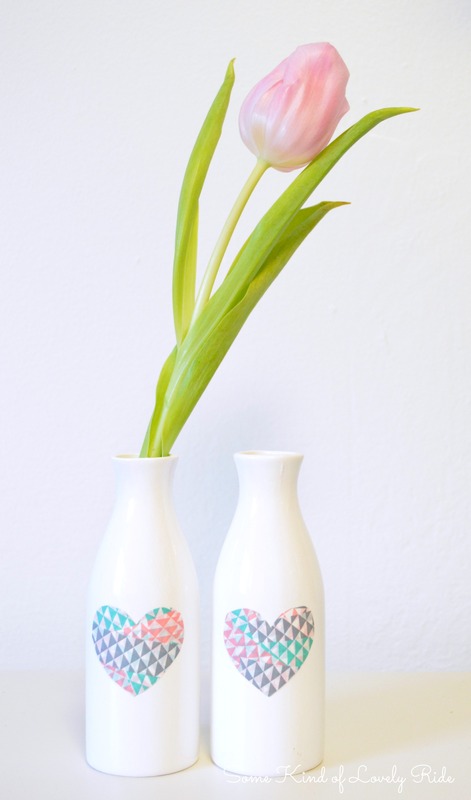 I love that you could make a whole bunch of these, and paint/stain them to suit your decor – for just a few bucks! The photograph on the left is of my Mommom when she was around 10 years old – sometime in the early 1940’s. I love this particular photo so much – she looks so beautiful. 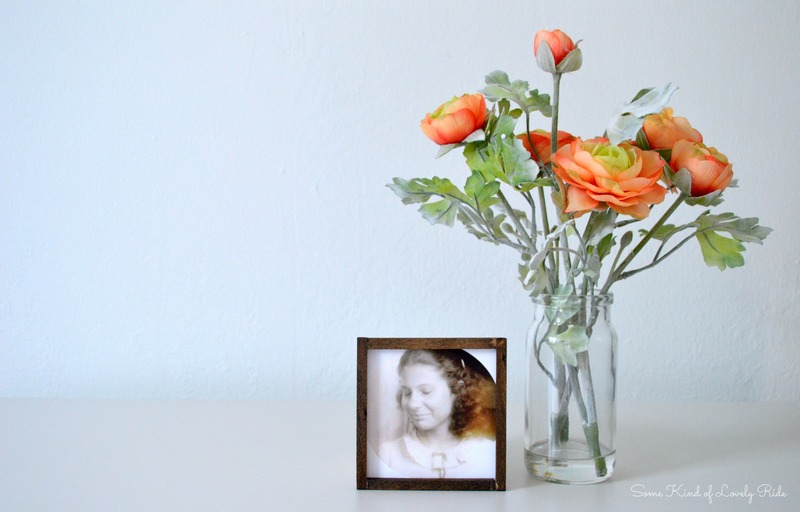 Have some photographs lying around that really deserve to be framed and displayed? Get on that – these frames could not be simpler! 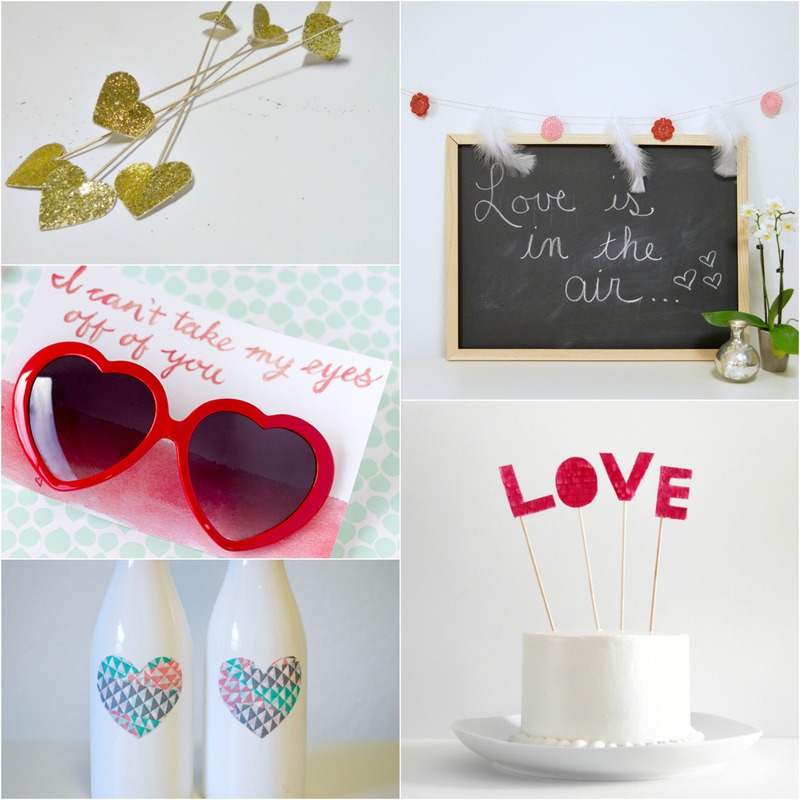 Clockwise from top left: Darling, glittery DIY Cupid’s Arrows from Bliss at Home // Mini Doily & Feather Valentine’s Garland (by moi!) 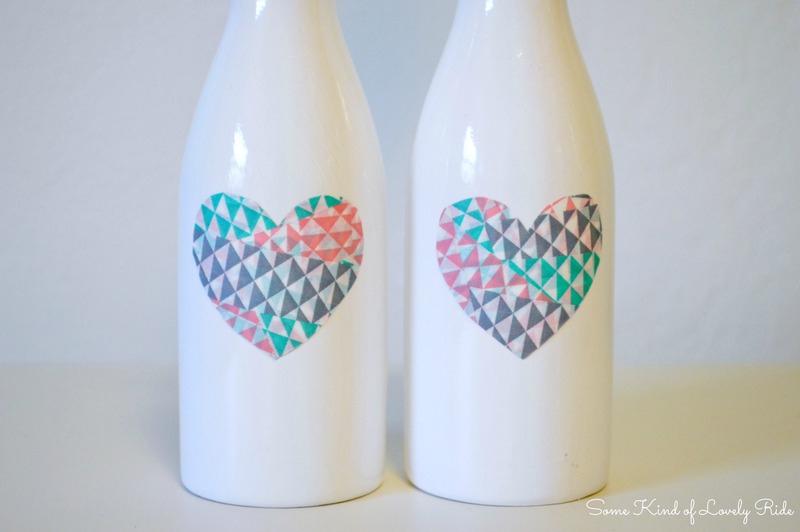 // Adorable DIY Fringed LOVE Cake Topper from Sugar & Cloth // Easy Washi Tape Heart Decals (me, again!) 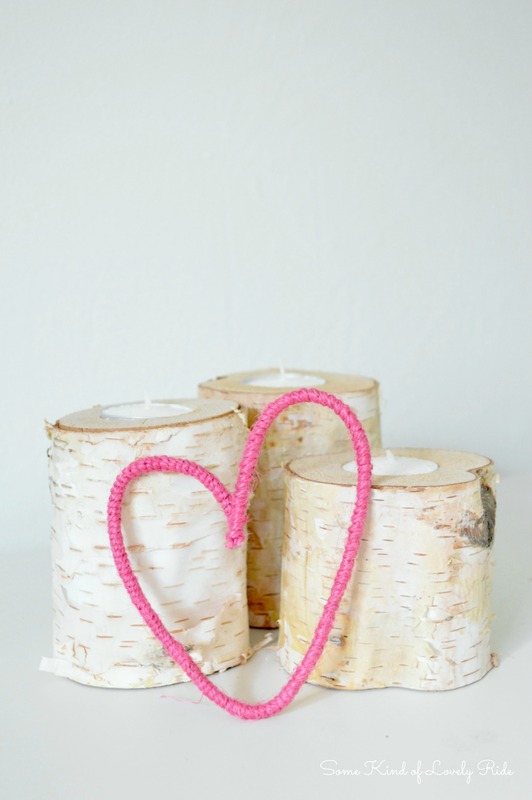 // The cutest DIY Valentine you’ve ever seen from Studio DIY. 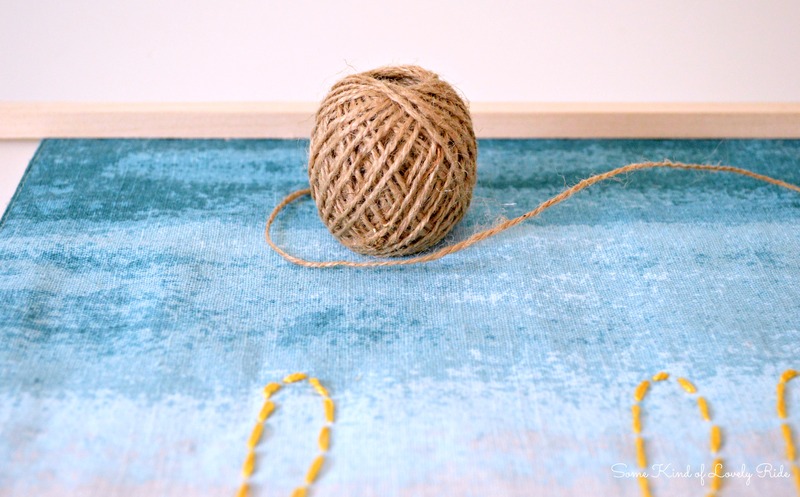 You can make most of these projects with supplies you may already even have on hand, so have fun crafting your little heart out! xo! Happy Monday! I hope you had a great weekend! I had a kind of stinky weekend, but I’ve got quite a week ahead and am determined to get through it with a smile. The good news is there is a three day weekend on the horizon, not to mention the promise of a lovely date night with my beau in honor of Valentine’s Day. 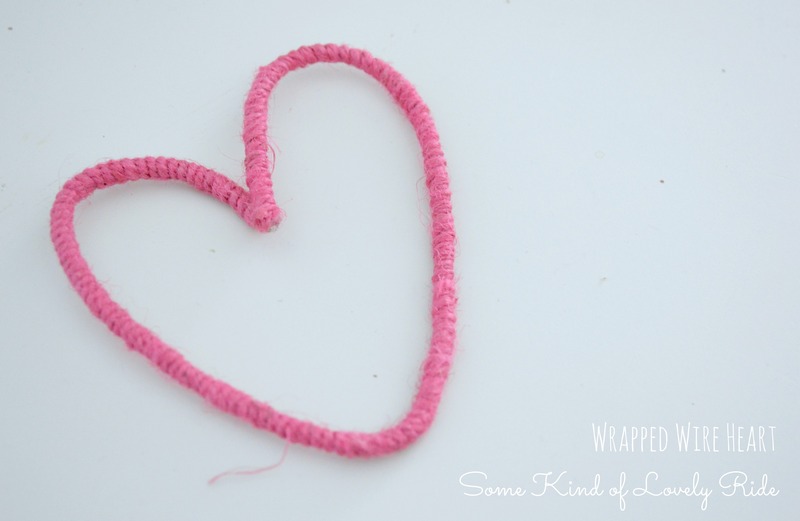 Speaking of Valentine’s Day, today I want to share a really easy Wrapped Wire Heart DIY. All you have to do is bend your wire into the shape of your choice, and then wrap it! Use hot glue at the start & finish to keep everything in place, and that’s it! You could make a few of these and string ’em on a garland, or make a mobile, or use them in a gallery wall on a teeny nail. Oh, the possibilities! 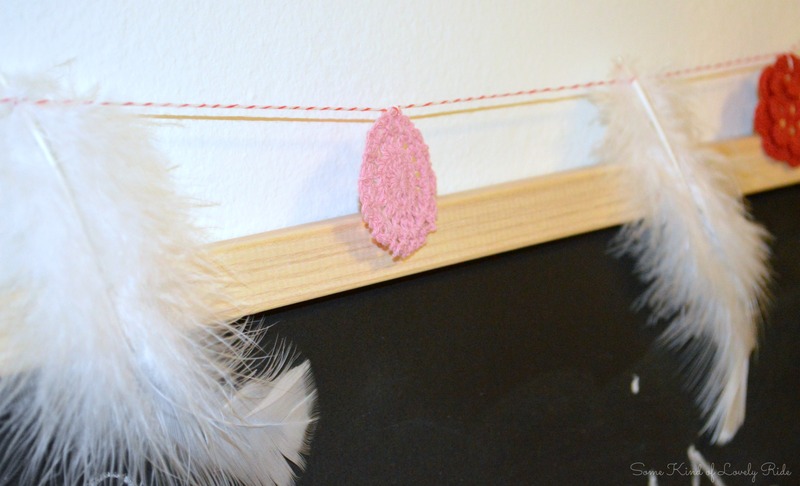 This sweet Valentine’s Day garland is as easy as pie! 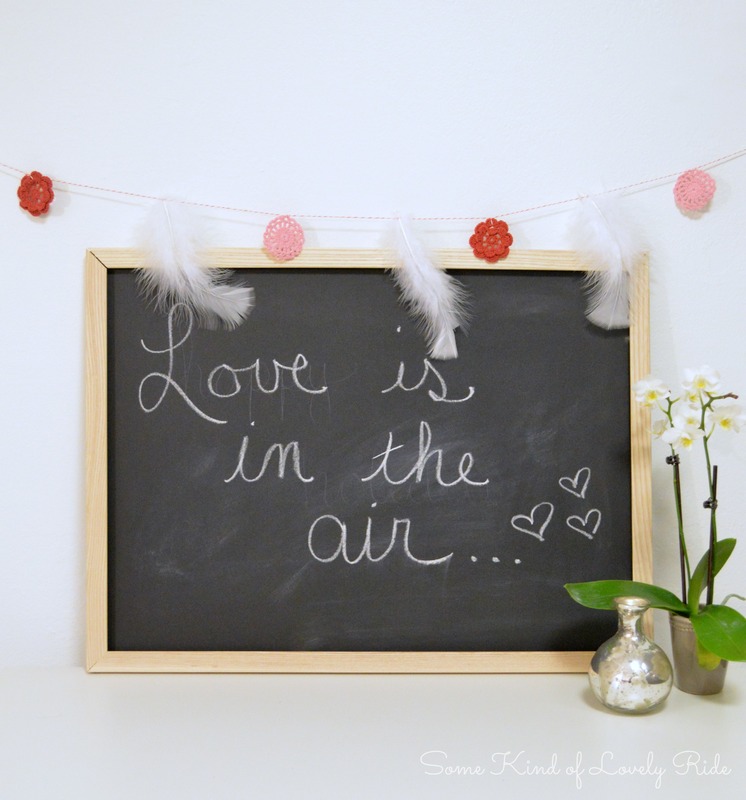 I love it in my kitchen right now, bringing some of that trademark Valentine’s Day pink & red to my love themed chalkboard. 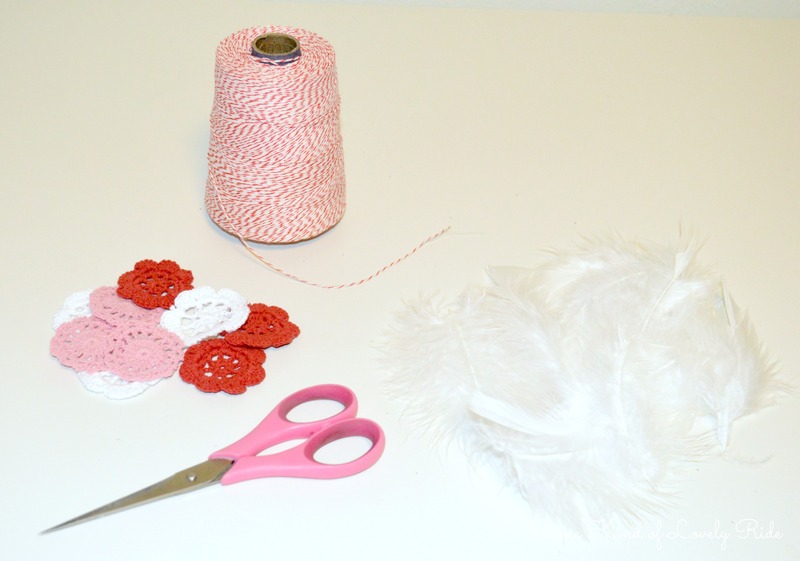 All you have to do is tie your doilies & feathers onto the baker’s twine, spacing them out & alternating them however you choose. So simple! I love garlands so much. I mean, you can pretty much string just about anything you want onto string, rope or twine & call it a garland. They are usually a breeze to make, and are an awesome way to add simple little touches for holidays & seasons to your regular decor! Happy Friday, everyone – I hope you have a great weekend! 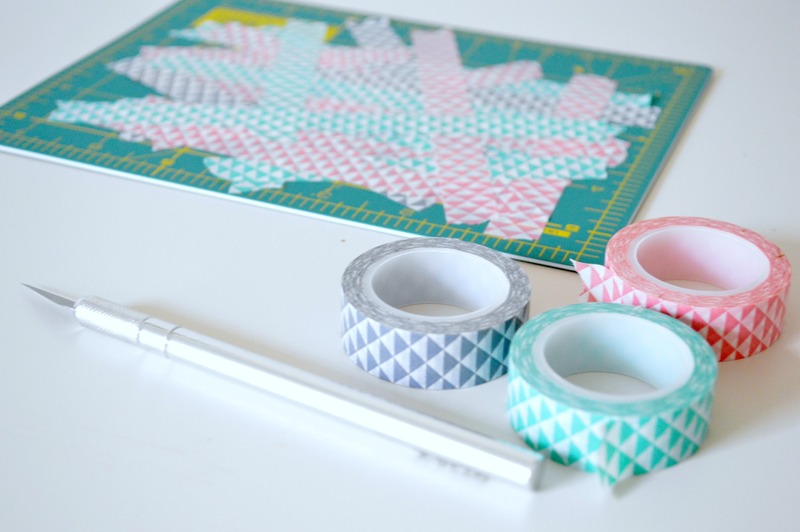 Cover the paper cutting mat with the tape – just randomly laying it in different directions so it overlaps & covers the majority of the mat. 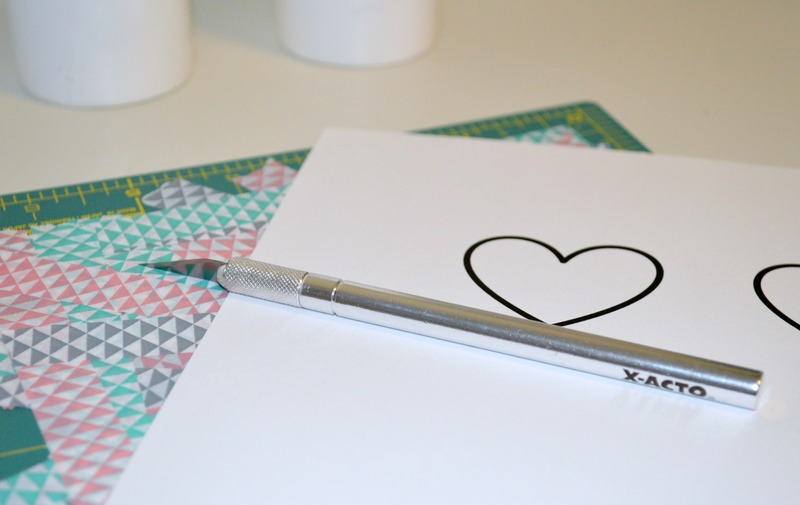 Use an X-Acto knife to trace the heart pattern, pushing through the tape into the cutting mat. 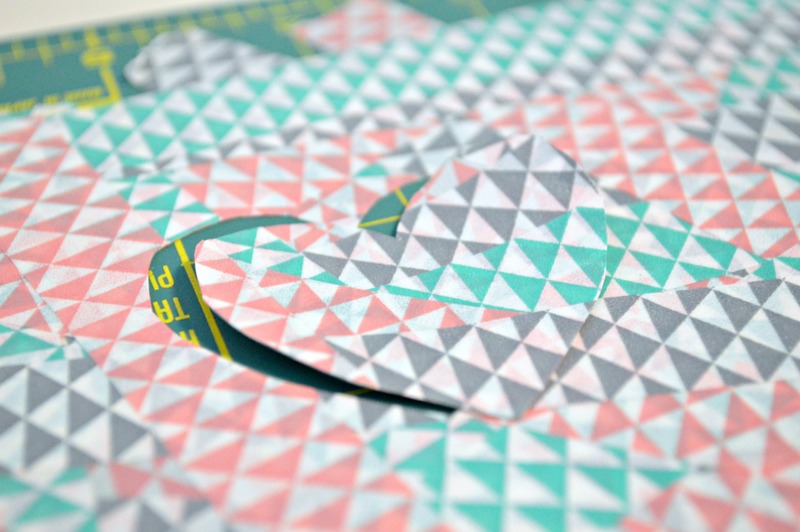 When you lift up the card stock, you will be able to peel the tape heart up like a sticker. You can put your fun & colorful new heart shaped stickers anywhere you want! I put mine on my white milk bottles. 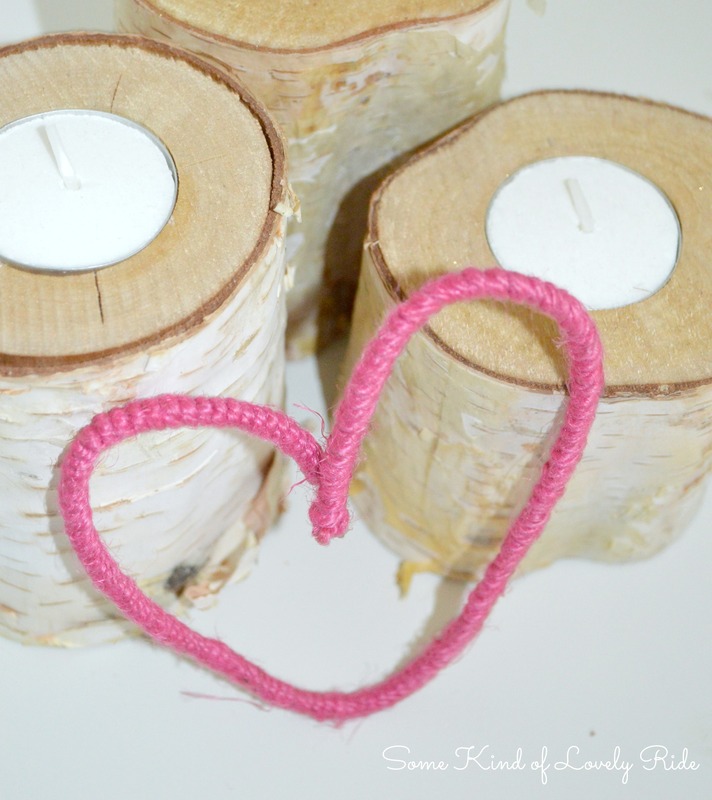 Such a simple way to temporarily spread the love (so to speak), and add some simple Valentine’s Day touches to dishes, vases, or whatever! Hey guys! 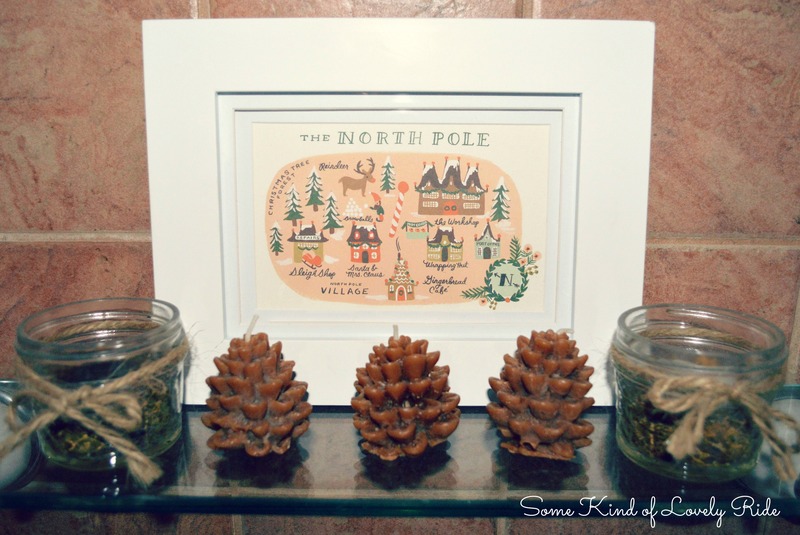 I had so much fun sharing my holiday decor in my Holiday Home Tour 2013 (which you can see here, here & here). 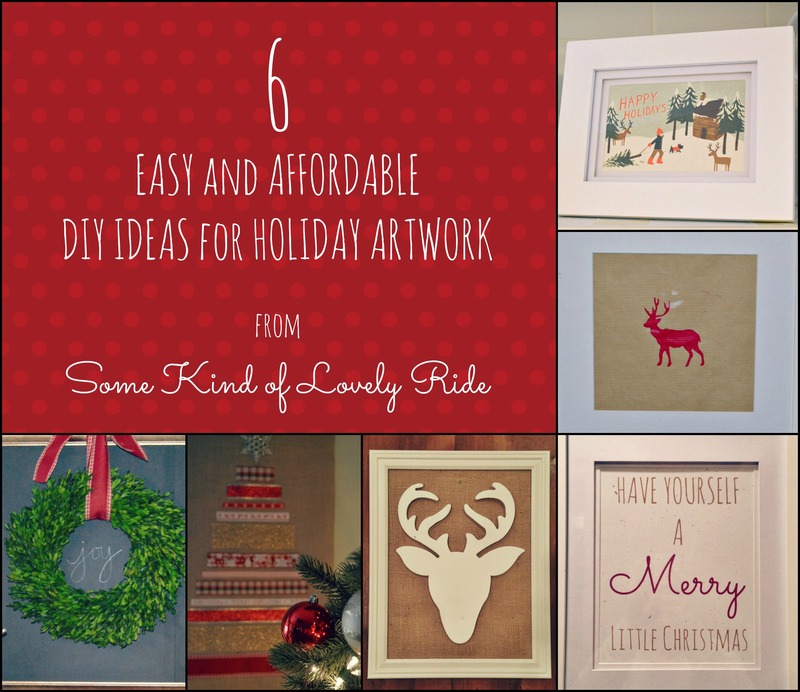 Most of these ideas for easy (and super affordable) DIY holiday artwork were seen in the tour. I love simple little pieces that can be ‘subbed in’ for the non-seasonal art you may already have scattered throughout your home. 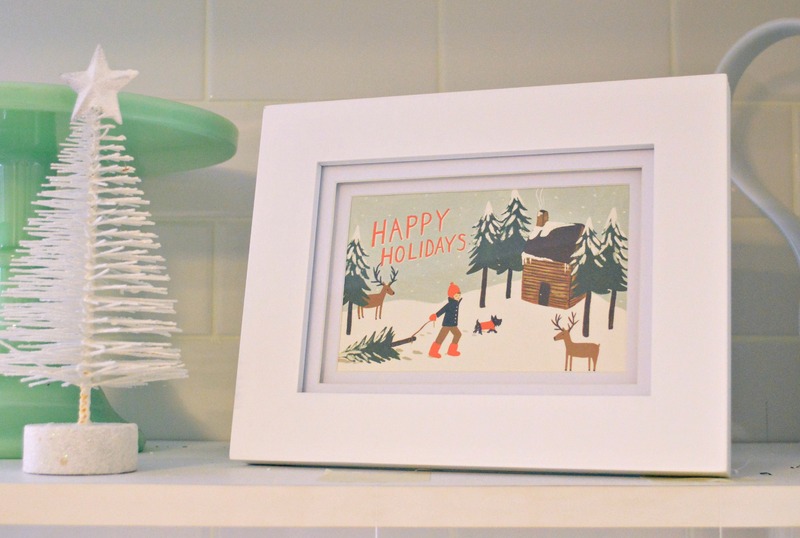 Some of these pieces are just stuck on top of whatever print is typically displayed – which means you’ll save by not buying new frames, and you can pull out the holiday artwork and be back to ‘normal’ in a flash! 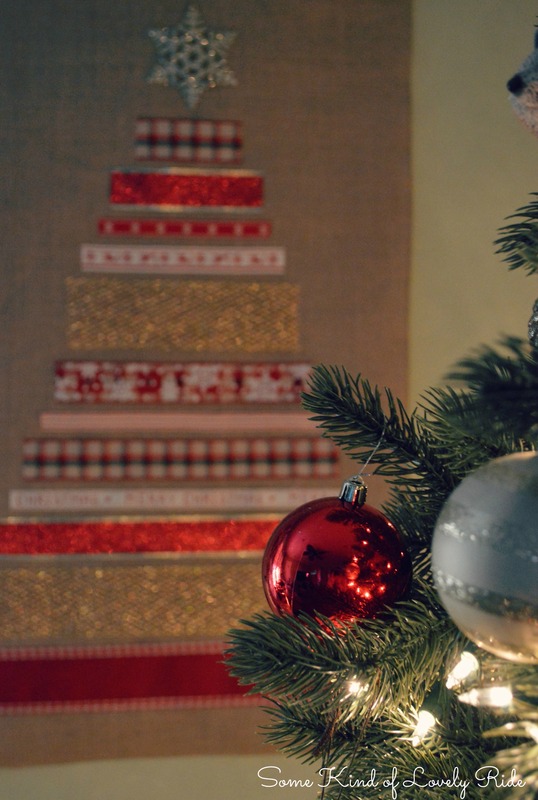 Here are six ways I updated my walls for the holidays this year. Since many of these pieces were created using supplies I already had on hand, my total ‘new’ costs for all of these pieces combined was probably somewhere around $10! 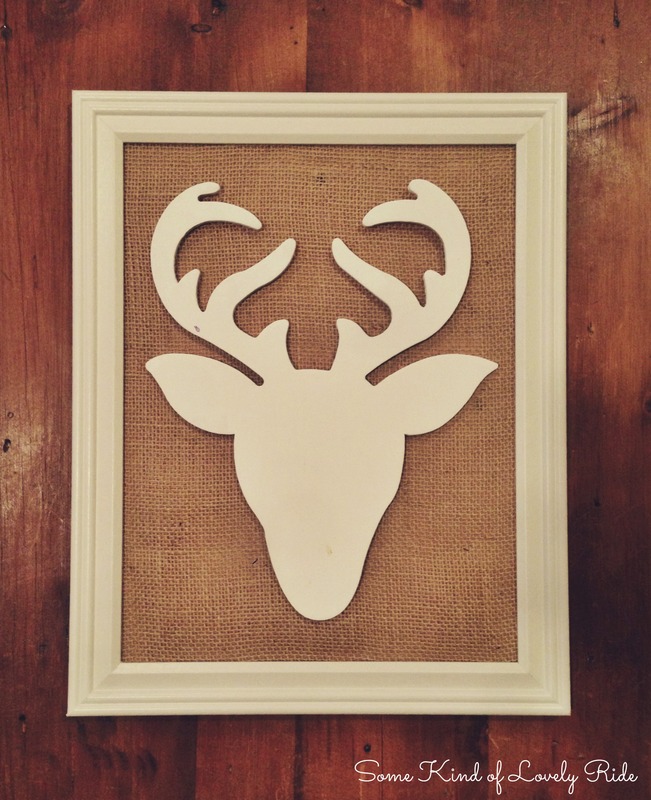 To make this simple & rustic holiday art, I painted a wooden reindeer head cut out (found at Michael’s for under $2) with white craft paint (or whatever color you choose). 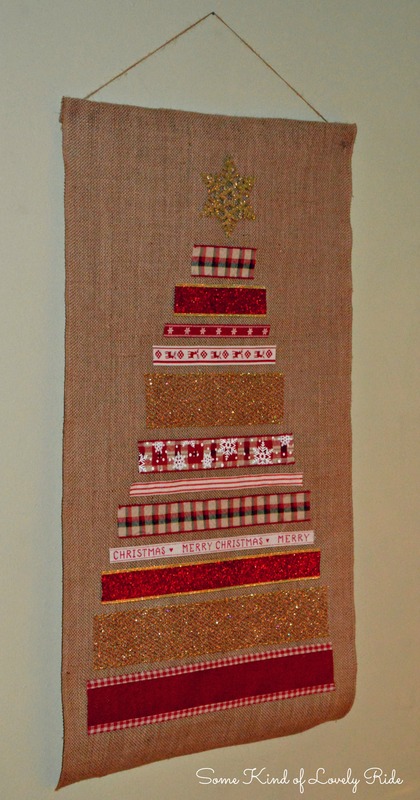 Cover the glass with burlap (or whatever fabric you happen to have lying around), and glue the reindeer to the fabric. Stick it in your frame, and you’re done! 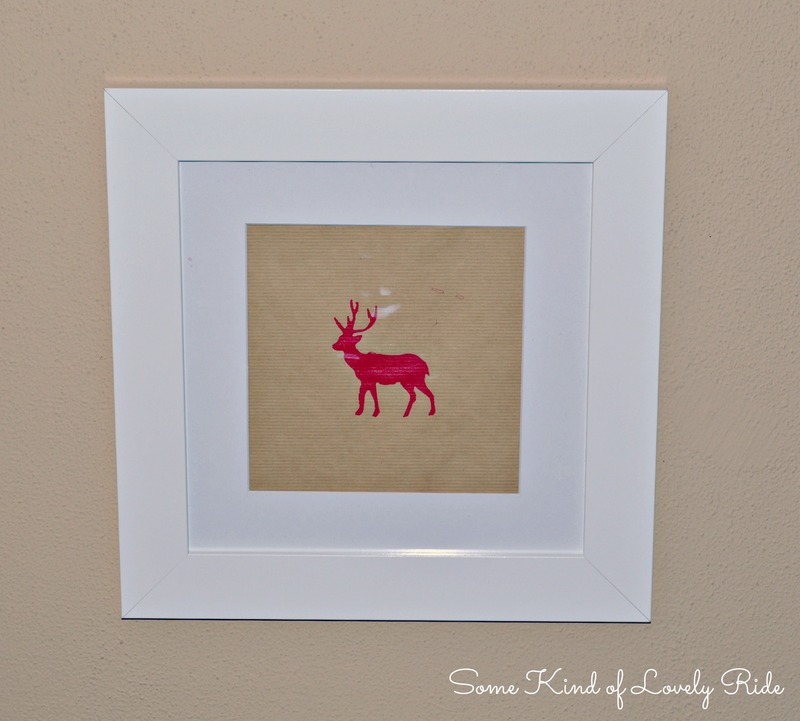 Stencil a festive animal, word, or other design onto a piece of kraft paper. Frame it. Go get a pedicure with all the time you have leftover after this project. (Don’t have a stencil? 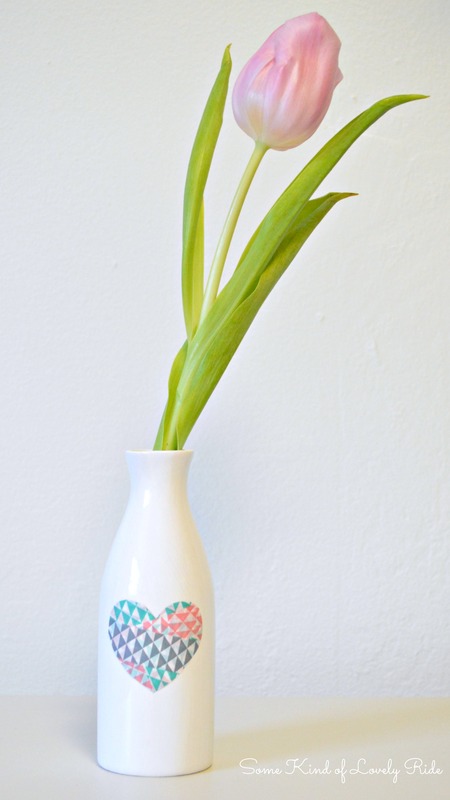 Make one by printing out clip art in the design you want & cutting it out!) Chances are, you already have everything you need to do this… which makes it technically free! But if not, you can probably get everything you’d need for less than $5. 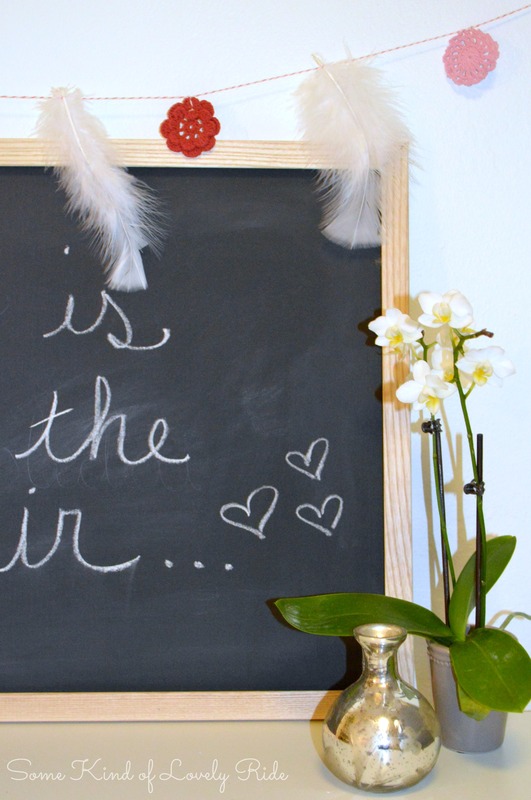 If you don’t already have a framed chalkboard somewhere in your house, you can make one! 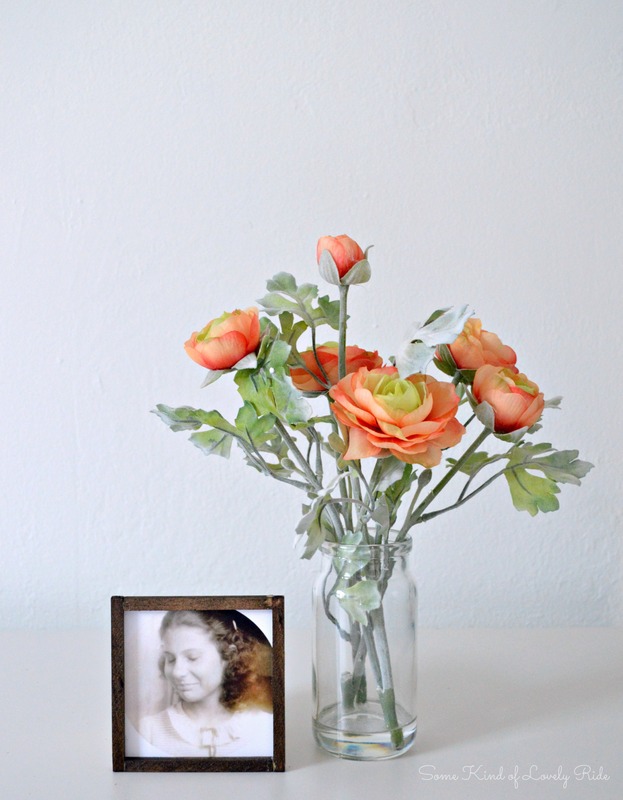 I made mine without even opening a jar of paint – here’s how. 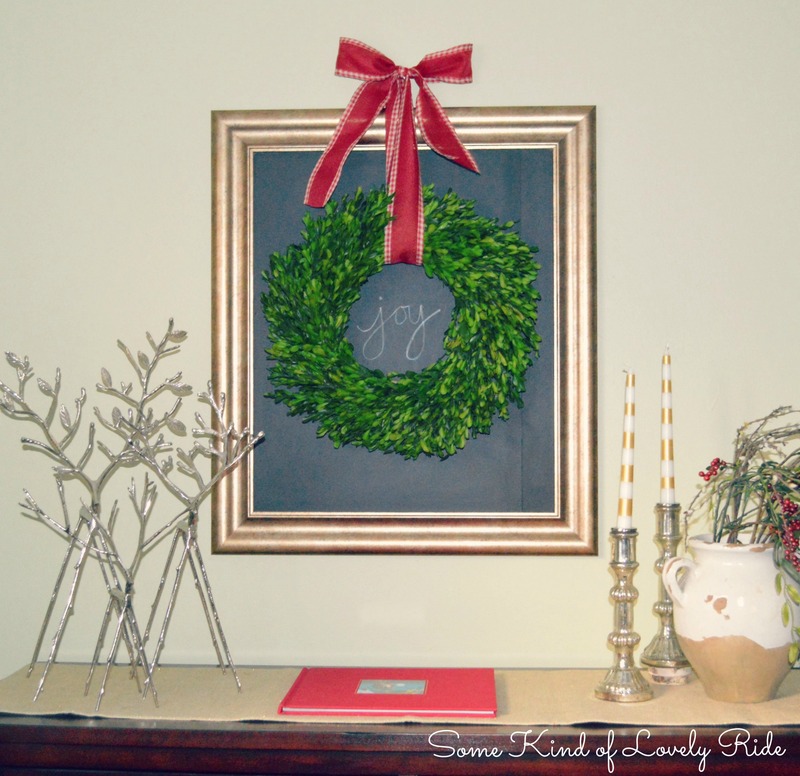 Hang a wreath in front of your new chalkboard with some pretty ribbon, and add some inspirational text. But don’t thank me for this idea, I saw it here, here & here first. 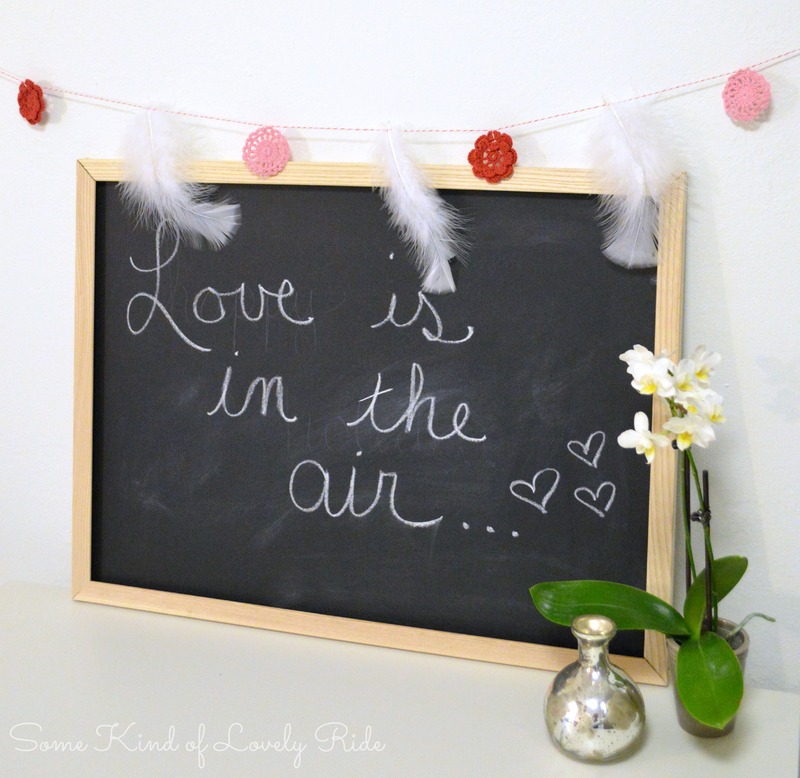 This one is ‘free’ to make too, if you already have a chalkboard, some ribbon, and a wreath! This really can’t count as a “DIY” project as it pretty much only requires the ability to put something into a frame. But I am obsessed with these holiday postcards from Rifle Paper Company, and am using them this year to send quick well wishes to friends and family. I love them so much, that I framed one in my kitchen, and one in my bathroom! Use holiday cards from your stash, or a pretty one that you received this year, and enjoy another free new piece of holiday artwork! I just played with some fonts on my computer and printed out this little fella onto some recycled cardstock and framed it. Boom! Easy artwork! 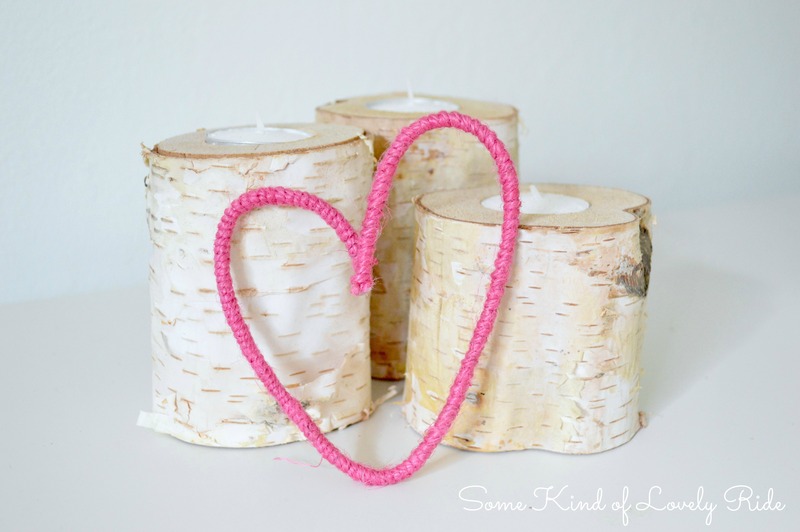 I shared this little project last week and again – I made it completely out of supplies I already had on hand. 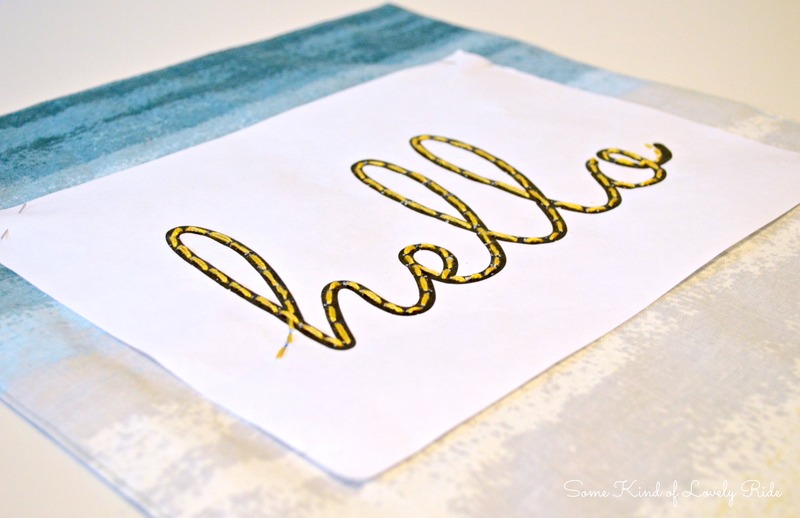 (Ok, maybe I am a burlap/ribbon/glue gun hoarder… but maybe you are too!?) You can probably guess how I made it (think hot glue gun), but you can see the original post here! So, what do you think? Any ideas you would try in your home? 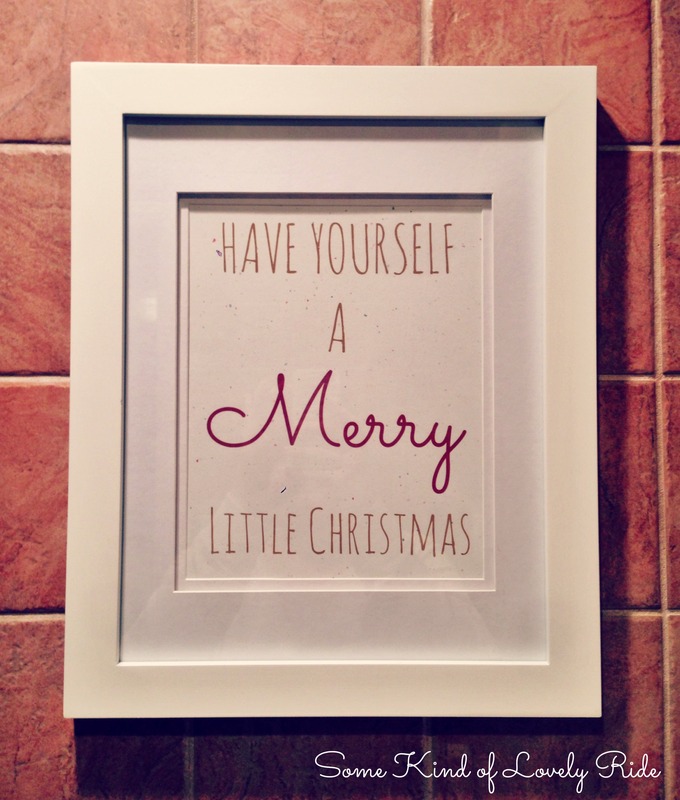 What are some other quick & inexpensive ways to deck your walls for the holidays? I’d love to hear your ideas!